Q: What do you do when your 5A football team can’t compete with other 5A football teams? A: You go to 4A. 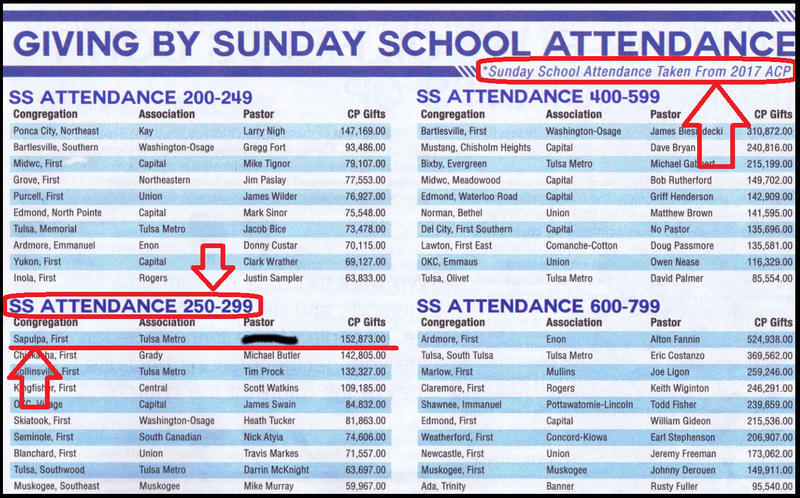 Total Sunday School attendance was 505 souls. Back in those days we used to have the attendance printed weekly. 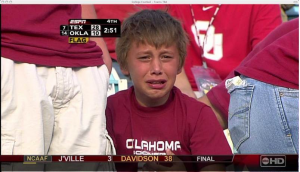 Now we don’t get it at all except through the occasional reports given to the Baptist General Convention of Oklahoma. Why could that be? Attendance has plummeted from 500+, to the 250-299 range and is teetering on the 200-250 range. But hey, FBC Sapulpa gets an award for highest CP gifts in our attendance bracket. It’s easy to dominate if you pack up your cash, run off your members, and compete in the little league. 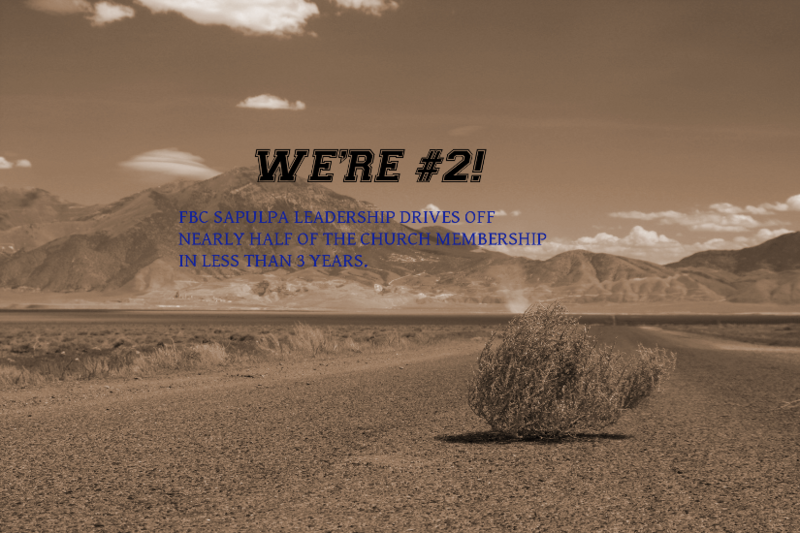 Folks, now the numbers are coming in for 2018 and it looks like FBC Sapulpa is officially the SECOND biggest baptist gig in town. This is a historic event. 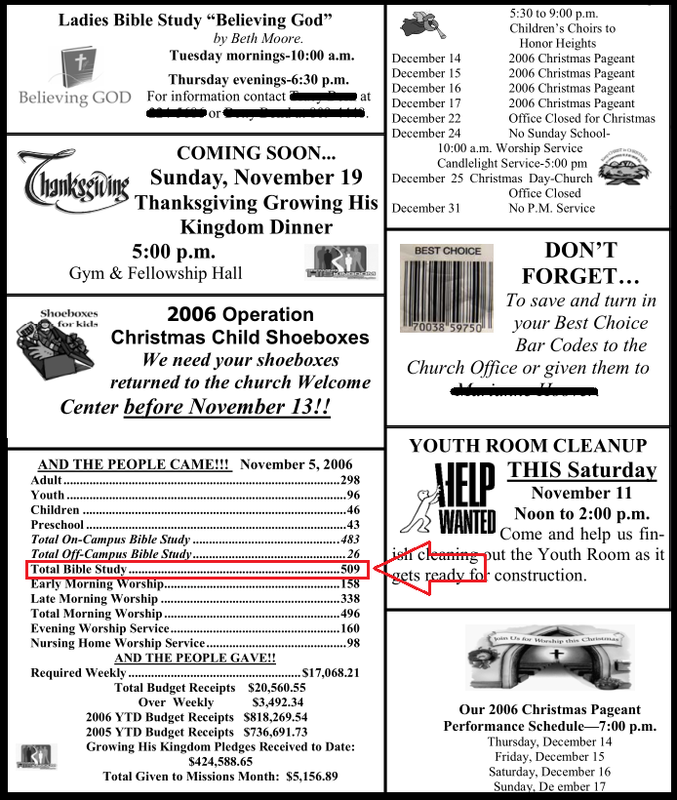 There is another baptist church just down the road with THREE services and most of our old members. Face it. FBC Sapulpa is gasping for air. 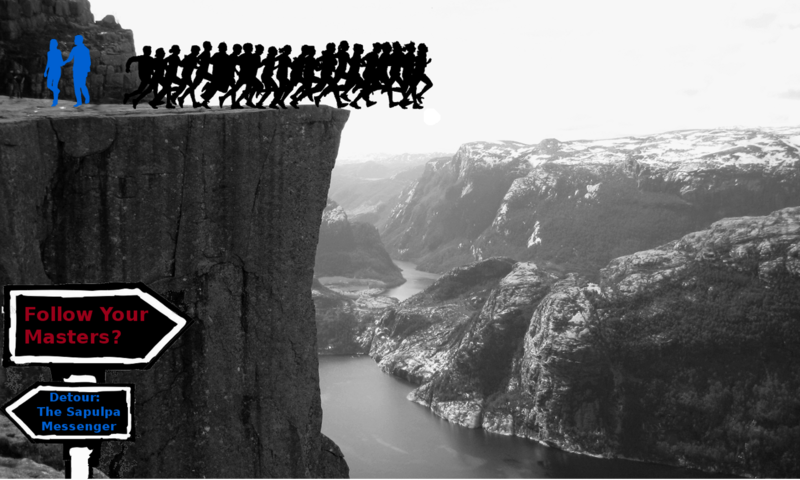 It is time to give the bums lording over this flailing congregation a big fat boot to their backside. Just in case you were wondering. 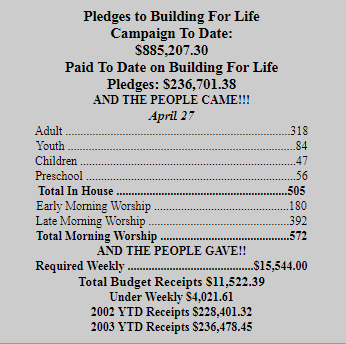 There is no award for Cooperative Program donations for churches with zero in attendance. THE SAPULPA MESSENGER CONSIDERING PUBLISHING ROUGH DRAFT OF PETITION TO REMOVE LEADERSHIP OF FBC SAPULPA PENNED BY WIFE OF HIGH RANKING DEACON!!! MORE INFO TO COME IN THE MEMBERS’ BLOG. Previous PostPrevious Hostage Situation: Who’s Missing?